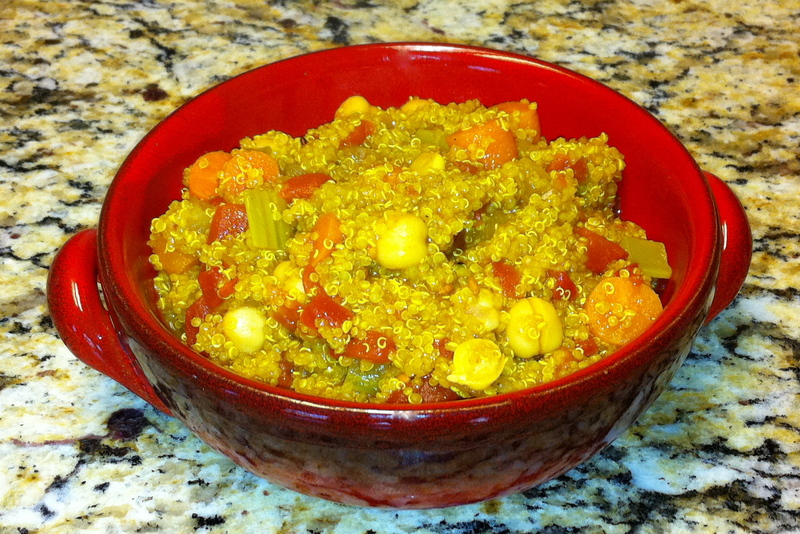 Quinoa is a seed that is not only delicious to eat, it is also a superfood. It provides many of the benefits of whole grains, it is a complete source of protein, and it is high in magnesium which is good for cardiovascular health. It is also gluten-free. You can buy it in most health food stores such as Whole Foods. I have to admit I tried this recipe last weekend and made it in a crockpot. Not a good idea! Quinoa doesn’t need to cook very long, and although it tasted great, the consistency was a bit like glue. So this version is quick and easy to prepare and the texture is much better! Total cooking time 20 minutes, total prep time only about 10 minutes! 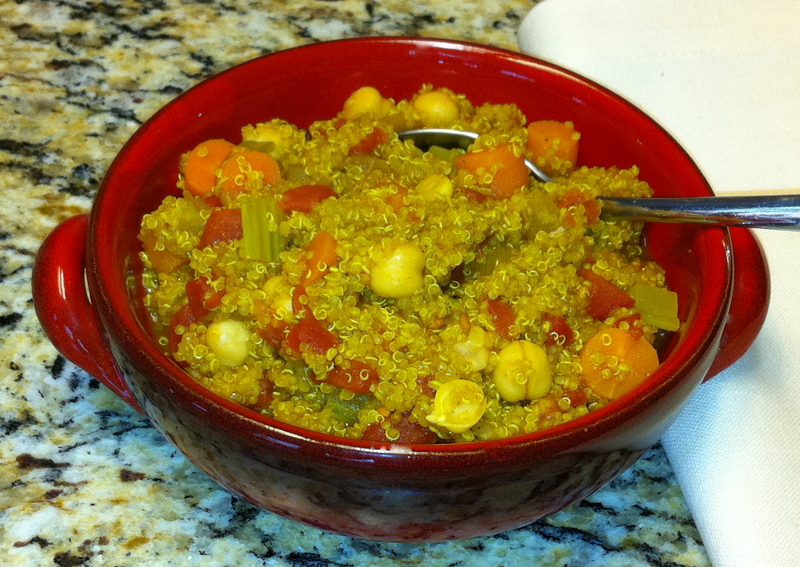 Recipe adapted from Curry Quinoa Recipe in Stir-Well to Heaven. 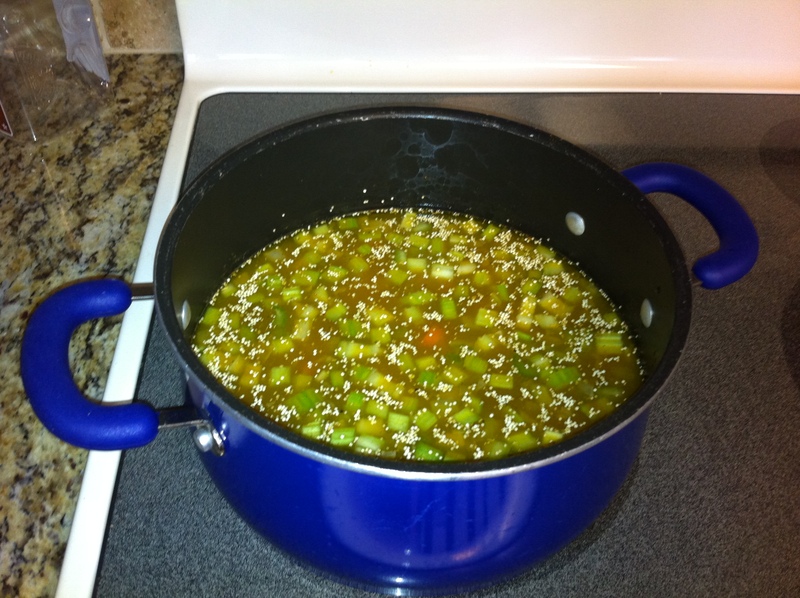 Place Water in pot and add spices, onion, carrots, celery and quinoa. Mix together and bring to a boil. 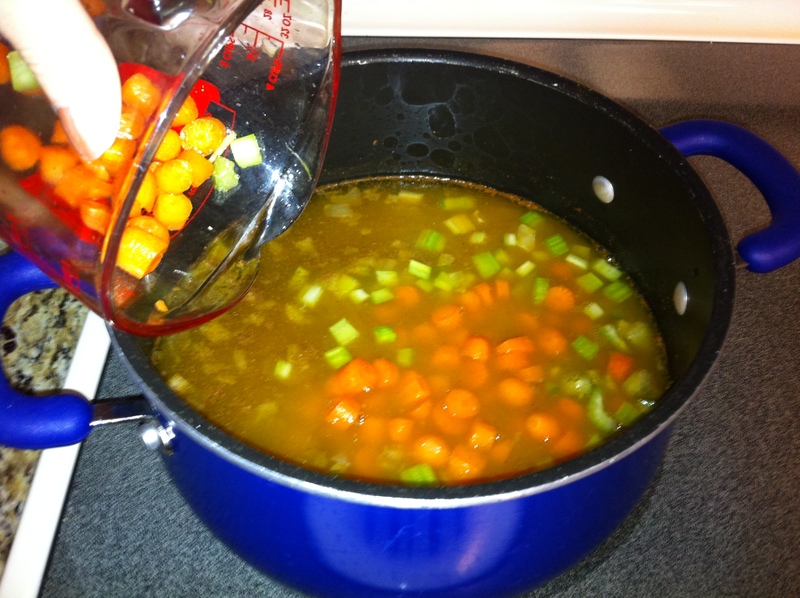 Then reduce heat to low and simmer for 15 minutes. 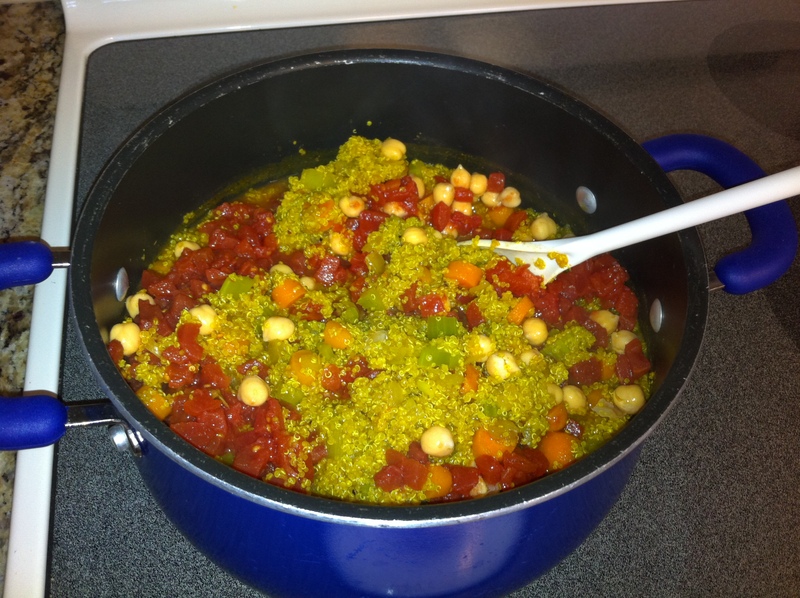 After 15 minutes add the diced tomato and chickpeas and simmer for an additional 5 minutes.